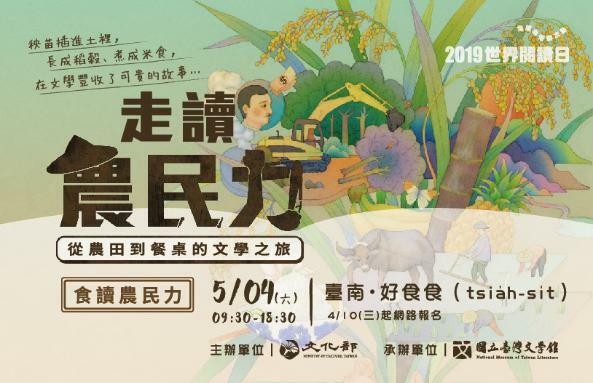 In coordination with the Ministry of Culture's promotion of World Book Day 2019, the National Museum of Taiwan Literature is holding a series of sensory activities under the banner of "A Trip through Farm Power: A Literary Journey from Farm to Table" from April 19 through May 19. Readers are welcomed to embark upon a journey through the literary world via vision, smell, and taste. "The Sight of Farm Power" section combines retro elements like wooden frames, decorative window grates, and ears of rice with exhibits of manuscripts by noted nativist writers including Yang Kui (楊逵), Zhong Tiemin (鍾鐵民), and Bukun Ismahasan Islituan (卜袞‧伊斯瑪哈單‧伊斯立端) of the Bunun people. 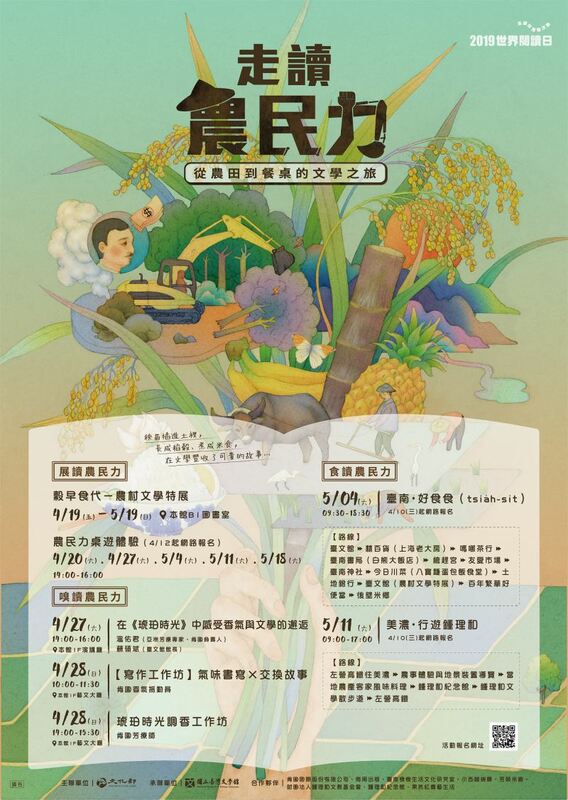 This exhibition of rural literature also incorporates rice-based cuisine culture from Tainan and Meinong. In the exhibition hall, one can also try out a literary-themed board game developed by the museum that takes players through the Japanese colonial era, postwar development, and contemporary Taiwan. "The Scent of Farm Power" section includes a series of talks, aroma-inspired writings, and fragrance mixology workshops. Through the scents of plants, it aims to open up sensory awareness and find a common resonance between humanity and nature. "The Taste of Farm Power" section is a physical journey through everyday food, starting at the dinner table and going all the way back to the dishes' origins. There are two travel routes planned, a Tainan one and a Meinong one. 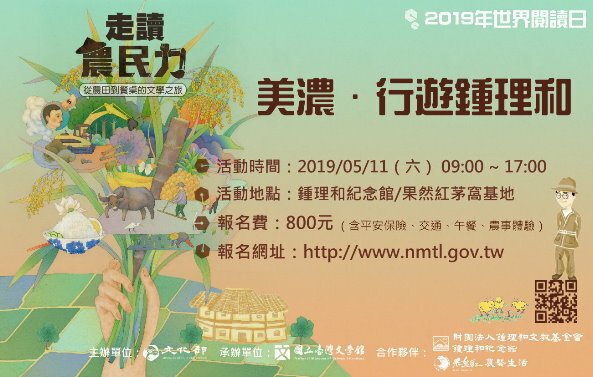 The Tainan route is scheduled to visit urban Tainan and the rice-growing township of Houbi; the Meinong route heads for the Chung Li-he Museum for an experience of rural life and Hakka cooking, giving visitors a chance to feel the memory and culture that has grown from the soil there and how it has become a lingering taste. 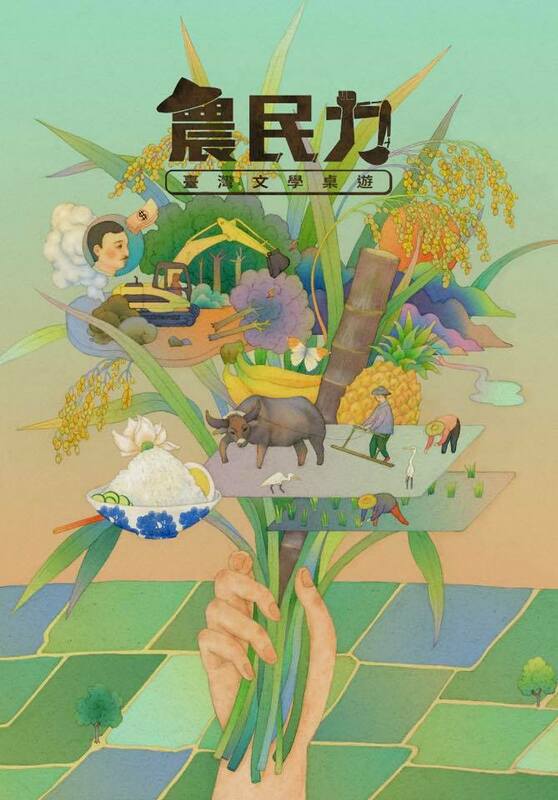 Igniting imagination and sparking the senses through eyes, ears, palette, and stomach, not only will this "Trip through Farm Power" satisfy the appetite, it will also soothe the soul. 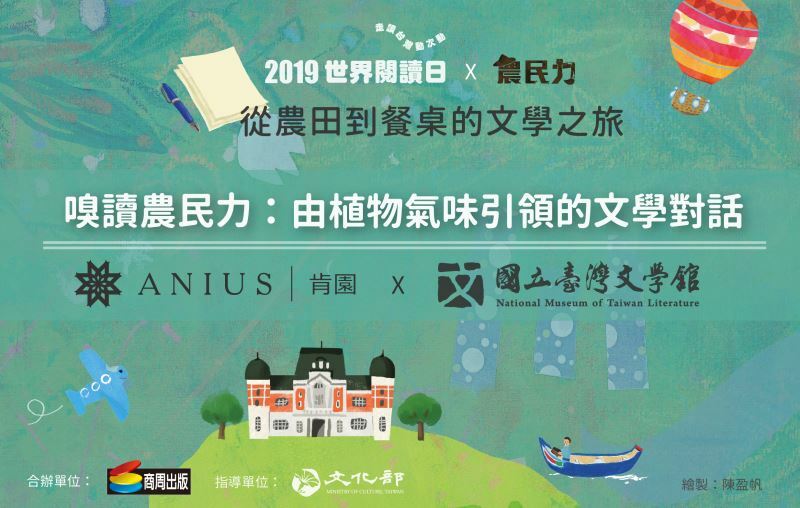 As spring gives way to summer, the National Museum of Taiwan Literature invites all to see, smell, and taste literature and reap a fascinating tale. Visitors Today:113. All Time Visitors:1,229,920.